Editor's Note: Because the Moto X is nearly identical across carriers, much of the following text has been carried over from earlier reviews of the device. Rest assured, however. We fully tested the major components that set the Verizon model apart from other models. The Moto X runs an essentially clean stock version of Android 4.2 Jelly Bean, with a few neat extras tossed in for good measure. 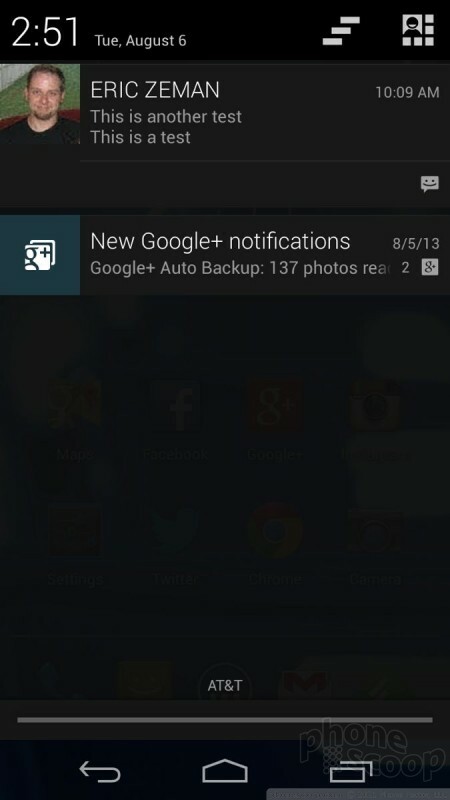 Android 4.2 includes lock screen widgets, which let you peek at your SMS or Gmail inbox without unlocking the phone. 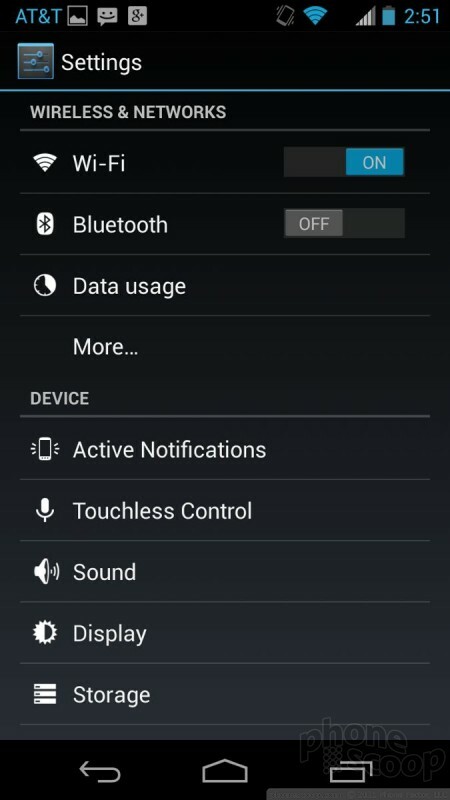 It also has notification shade controls that make it easy to switch off Wi-Fi, for example. There are plenty of home screen panels for user customization, the main menu app menu can be arranged at will, and the ability to place apps in folders on the home screens lets you organize the device how you like. Performance of the Moto X's software is incredibly fast. 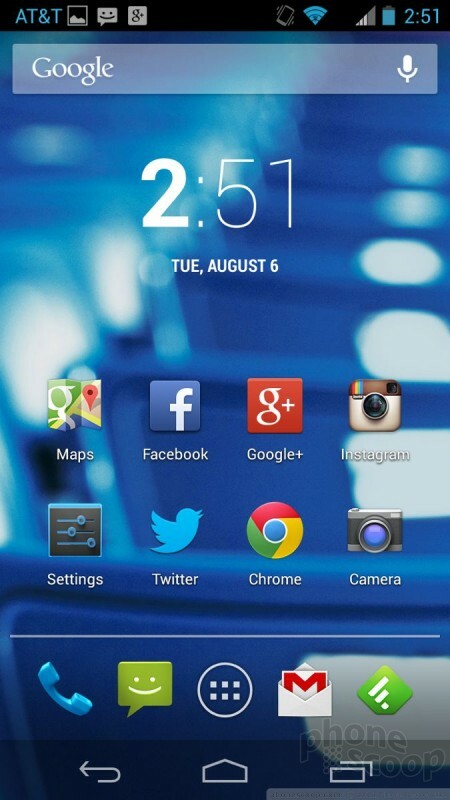 The phone has a dual-core Snapdragon S4 Pro processor on board, and this engine gets the X revved up. I didn't notice any performance problems. 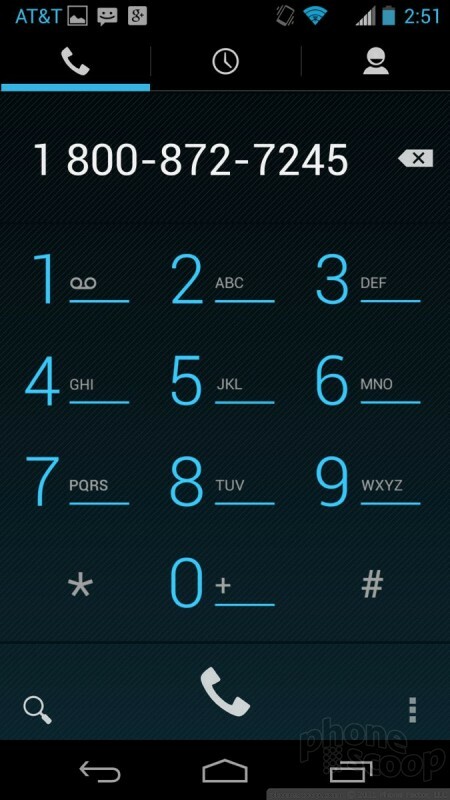 Pressing the phone button on the home screen brings you to the dialpad. 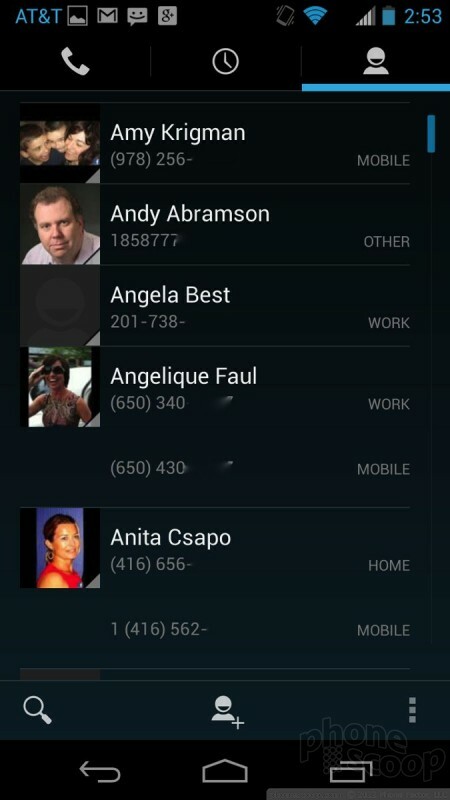 You can swipe sideways to access the call log, and your favorite contacts. The call log provides some information about calls (time, duration) in addition to shortcuts for redialing or sending a text message to that number. 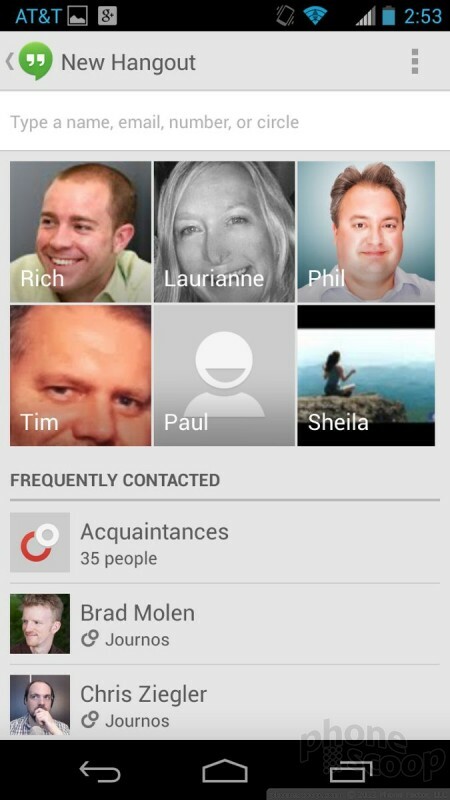 Contacts are automatically synced with your Google accounts and whatever other contact databases you might wish. 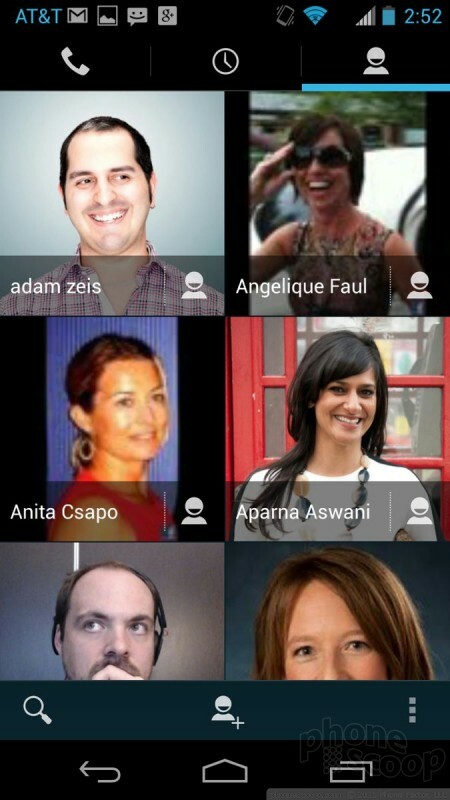 Contact cards, or direct dial or direct message shortcuts can be placed on the home screens, which give you instant access to your besties. You can also add contacts to your Favorites list — which is visible in the phone application and includes a homescreen widget. 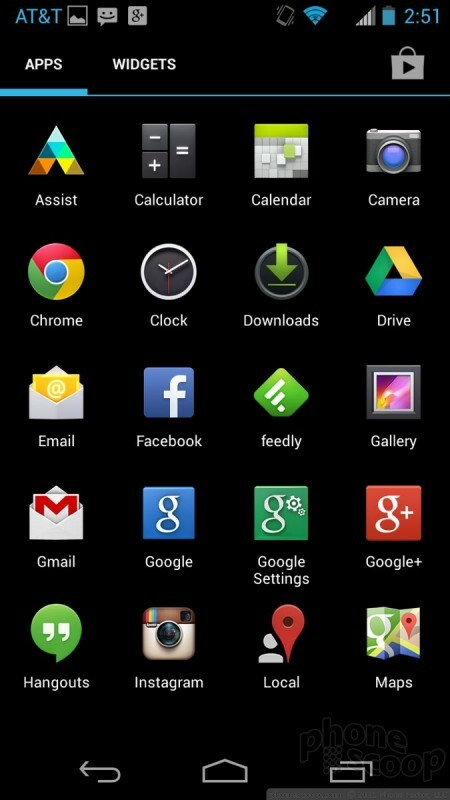 The X comes with the same stock Android communications apps that are on every other Android device. That means Gmail, email, SMS, Hangouts, Google+, and Google+ messenger. 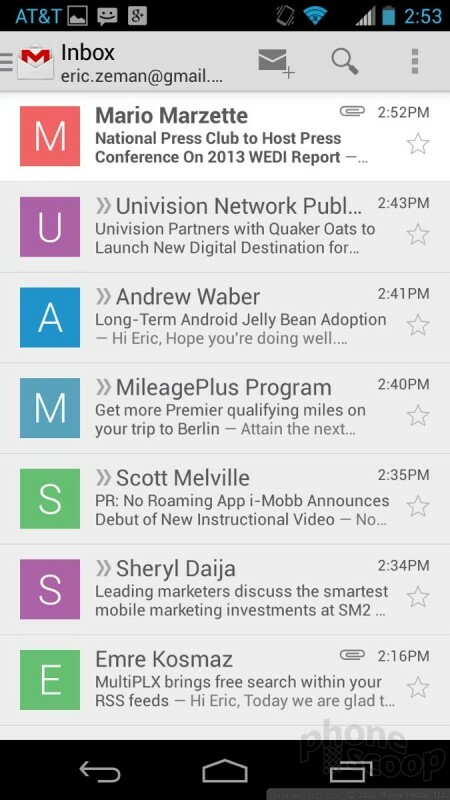 There are no third-party communication tools on the phone when you pull it out of the box; Google is all you get. 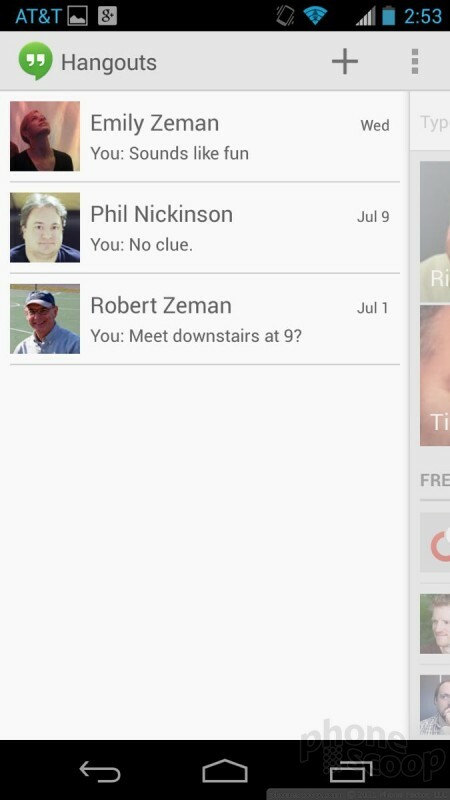 If you want more, the Google Play Store has plenty to wade through. The stock tools work well.